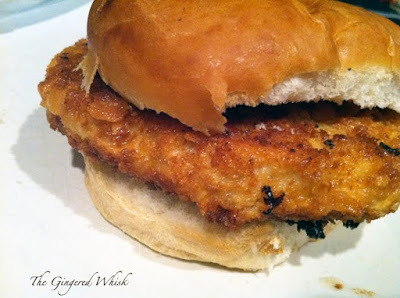 A tasty tender fried pork tenderloin sandwich is a staple here in Iowa. 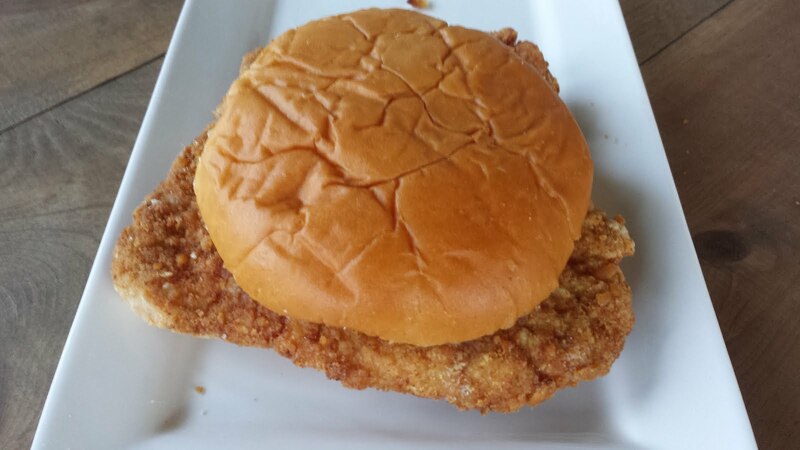 Almost every small town has a restaurant who will claim to have the best or the biggest tenderloin sandwich. There is even a “Best Tenderloin in Iowa” contest every year. My friend, Cristen, from Food and Swine has been a judge before. 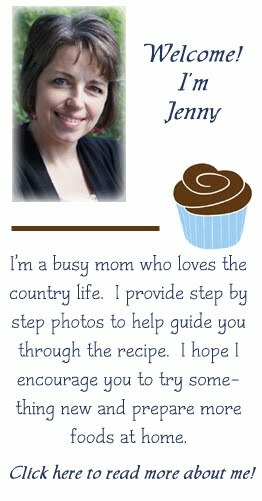 I debated sharing this recipe until I could have a proper blog worthy photo. 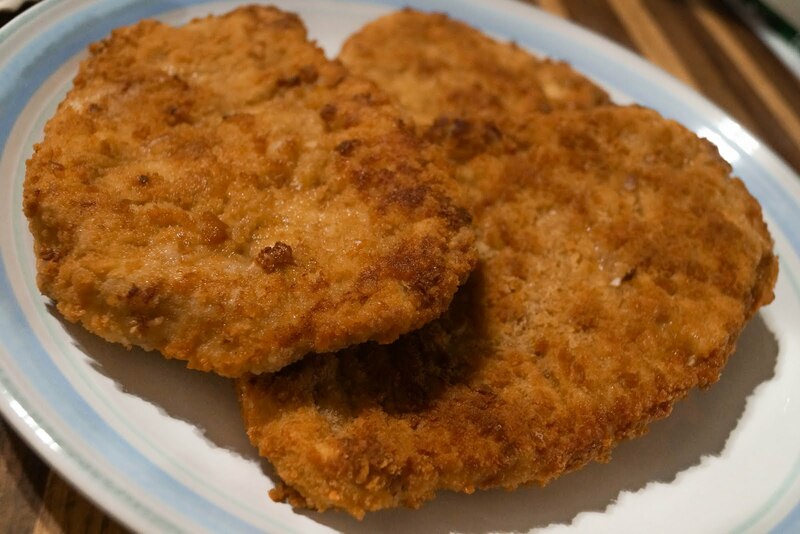 It's 3 beautifully fried breaded Iowa pork tenderloins laying on a plate. Exciting, right?! My family thought they were so they snatched them off the plate faster than I could say, "These are hot - be careful!" It is what it is and I am going to keep it real on this post - for now anyway. I may change it up when I get more time. I like nicely posed photos that grab your attention but some meal times are jammed up and busy and this night it was and they were hungry. 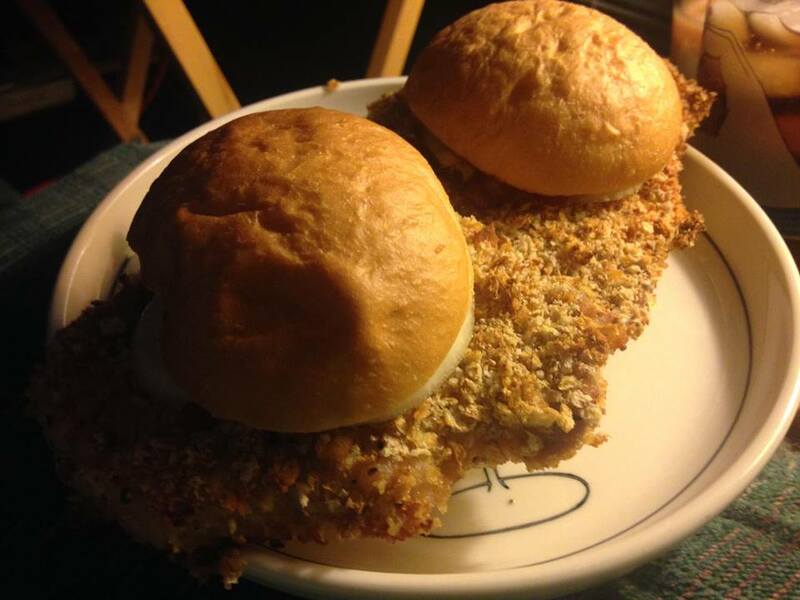 I'd also like to point out that my tenderloins are not the size of the plate. 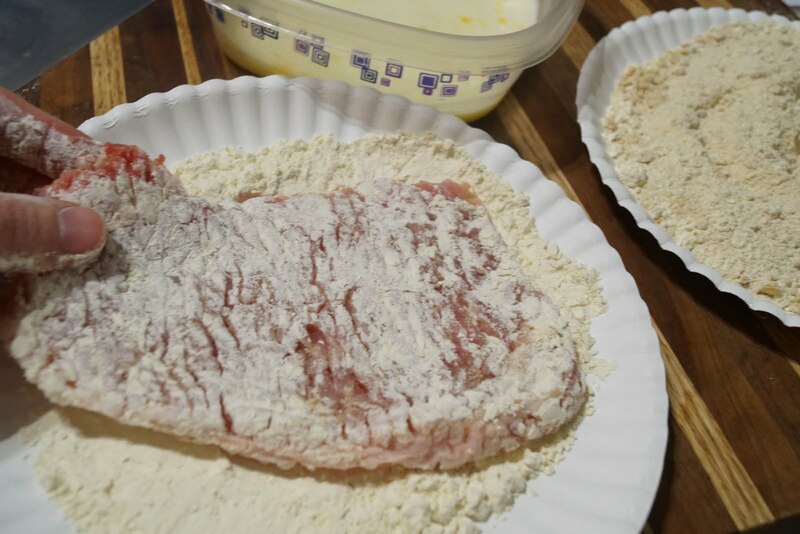 Some restaurants tout that they have the largest tenderloins. 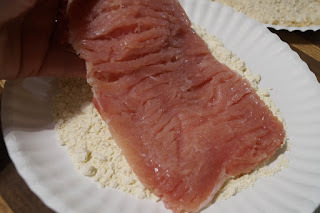 Personally, I want to taste the pork and not just feel like I am eating sandwich made of breading. Loins are all similar size and even in a large hog the size isn't going to change all that much. Your butcher or meat counter can run it through their tenderizer or you can beat it with a meat mallet. I prefer it tenderized not beat up. 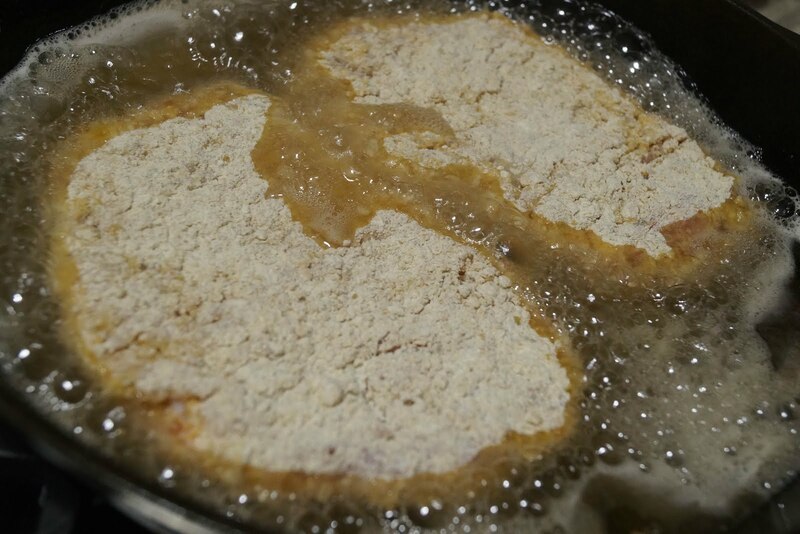 Shall we fry? 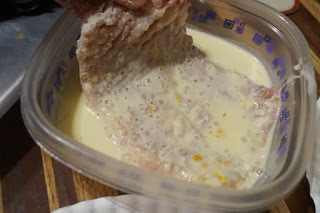 Speaking of frying, we had our hog rendered and we used our own lard. Yep, sure did! Set up your breading stations. One with 1/2 cup flour, one with the egg and milk mixed and the other with the crackers and other 1/2 cup of flour mixed. 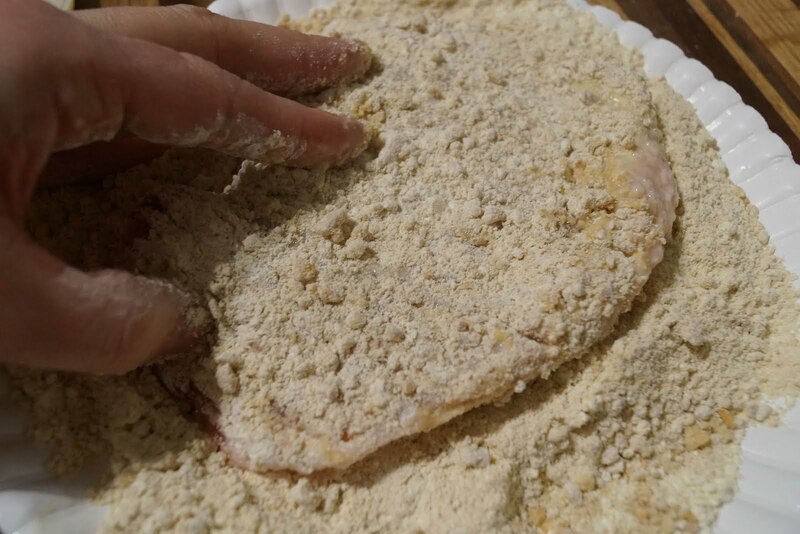 You can season your breading if you like but salt, that's good enough for us. 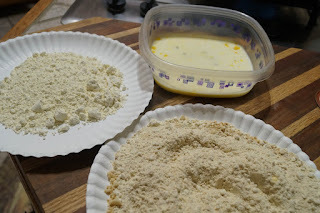 Coat with cracker/flour mixture, gently pressing into the tenderloin so it sticks. Fry in hot oil/lard approximately 3-4 minutes on each side until cooked through. Drain on paper towels. Serve on buns with desired condiments . Mustard, mayonnaise, dill pickle chips, ketchup, sliced onion, lettuce and tomato are all welcome to the party. They can also be cut into strips and dipped in ketchup or eaten as a sandwich with Romaine lettuce strips as the "bun." When asked a restaurant if he needed steak sauce, my dad always said, "If the steak is done right, I don't need sauce." He would say it just needs a little seasoning. At a restaurant it would be salt and pepper. At home Nature's Seasoning and/or Lawry's. 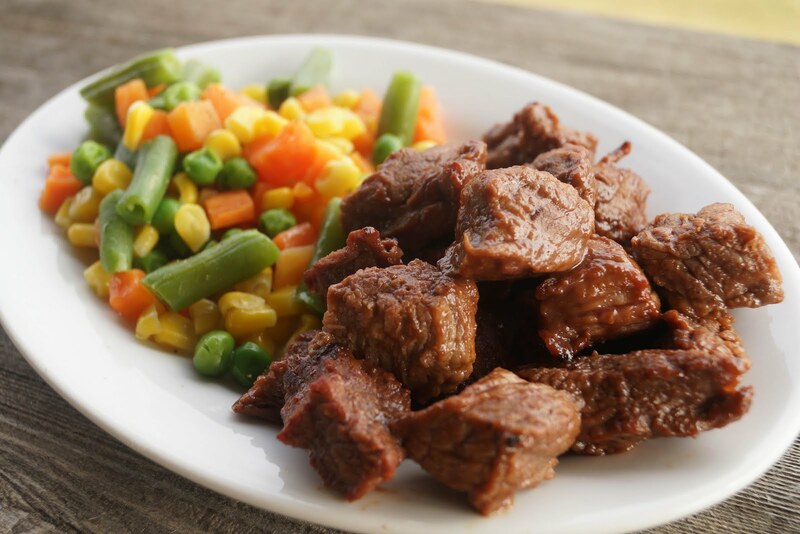 I bucked his system a little bit with this marinated steak. 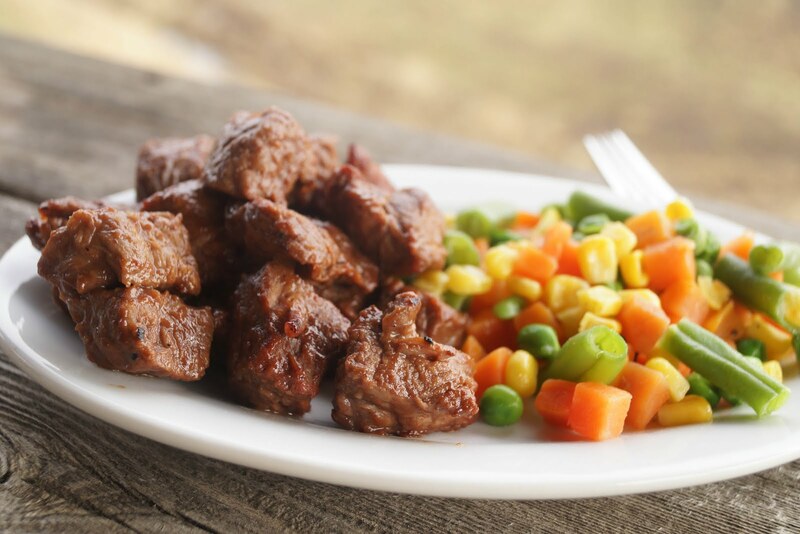 It helps break down the tougher steaks and adds a load of flavor. The first time I made it I served it with caramelized onions and perfectly pan fried potatoes. 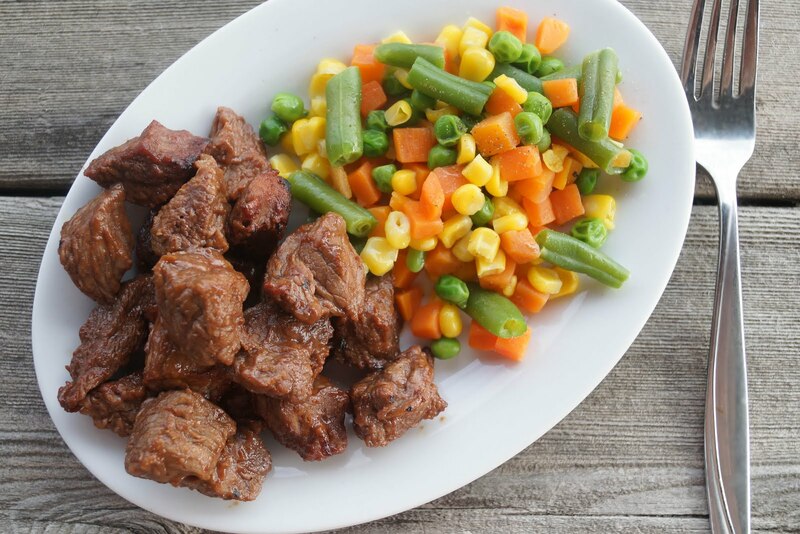 This time I served with with steamed veggies. In a gallon bag mix together all but the steak. Cut up steak into 1 to 1-1/2 pieces, removing large pieces of fat and any grisly parts. My steak was about 2 pounds when I was finished cutting it up and discarding the junk. 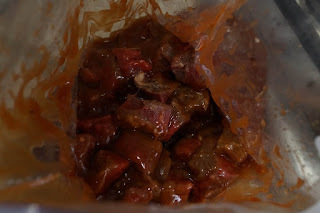 Dump the steak pieces into bag and mix to coat. 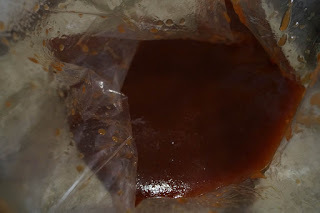 Marinate for 6-12 hours.